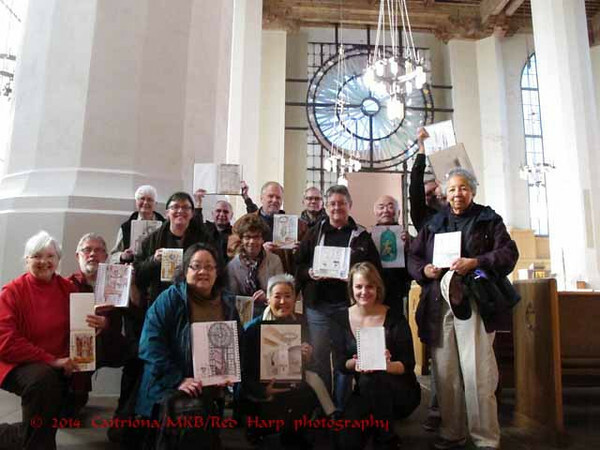 The ad hoc sketch outing today was at St. Mark's Cathedral. In Seattle, not Venice. 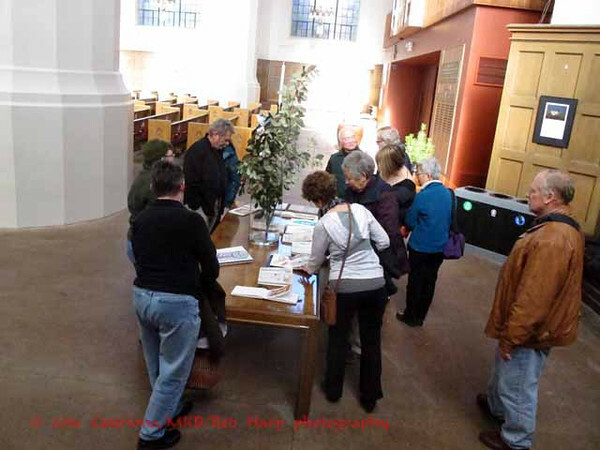 We welcomed two sketchers there for the first time and had another large group. 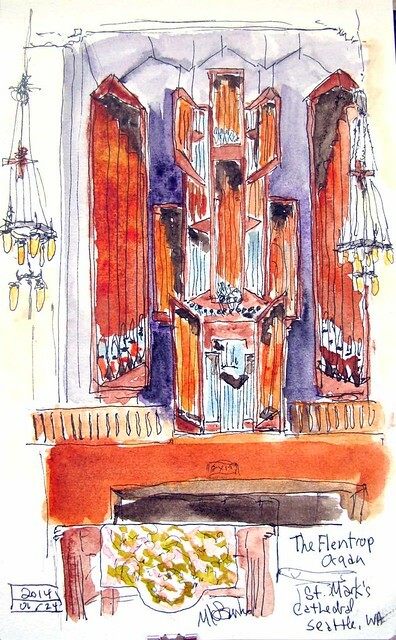 My first sketch was of the massive Flentrop Organ. From the flyer on the history of the cathedral: "It was built in Holland and was the largest instrument the company had yet designed. It was dedicated in September 1965 with [legendary organist] E. Power Biggs playing the inaugural recital." It was a popular subject as several sketchers chose it. Since I had about an hour left, I did do one more. 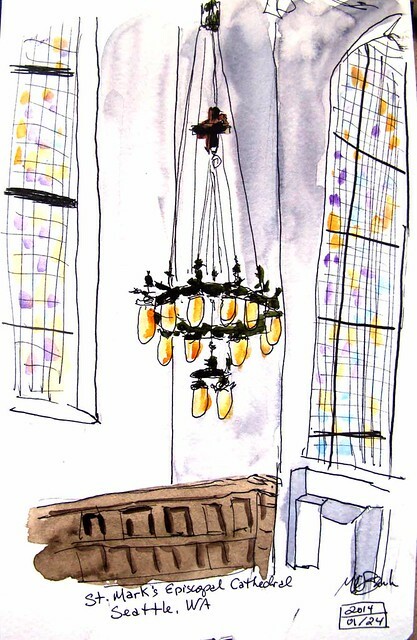 I included parts of two windows and one of the chandeliers. The windows are very lightly colored in no particular pattern. As an organ rehearsal started, we shared our sketches and posed for a group photo.